Ganesh, M. (2018). Data and Discrimination: Fintech, Biometrics and Identity in India. Scassera, S (2018). E-commerce, future of labour and its impacts on women. Valente, M. and Neris, N. (2018). Are we going to feminise the Internet? Gurumurthy, A. (2017). A history of feminist engagement with development and digital technologies. United Nations Human Rights Council (2017). Promotion, protection and enjoyment of human rights on the Internet: ways to bridge the gender digital divide from a human rights perspective. Dickson, B. (2018). Artificial Intelligence has a bias problem and it is our fault. Gurumurthy, A. And Chami, N. (2016). Data: The new four letter word for feminism. Lokanathan, S. (2014). Some reflections on the analytical challenges in big data. Taylor, L. (2013). The scramble for Africa’s data – Resource grab or development opportunity. 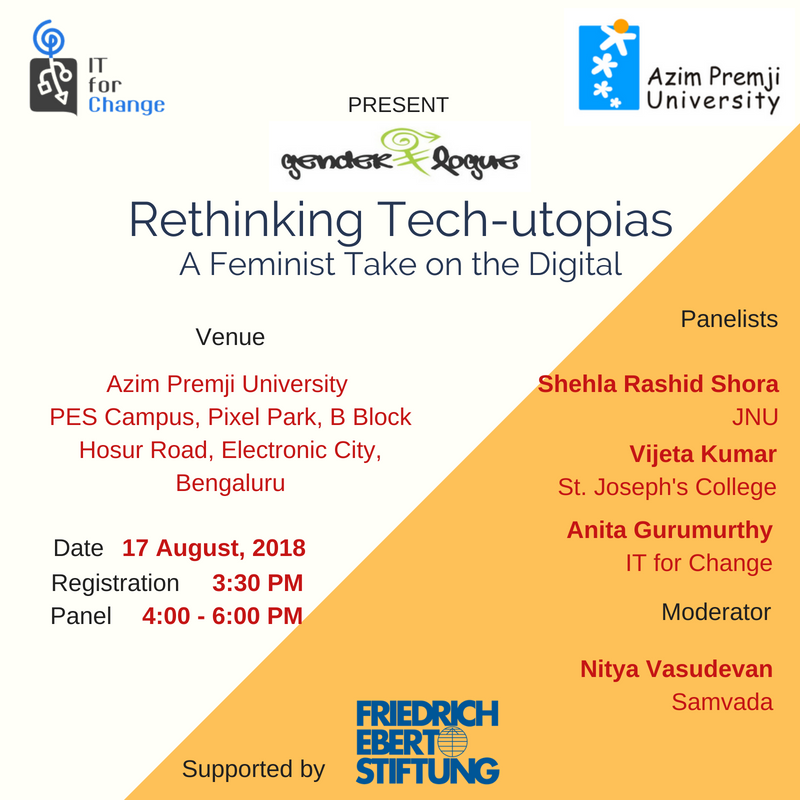 IT for Change and Azim Premji University (APU) organised a course titled 'The Gendered Digital in the Network Society', between 3rd and 4th February 2017, which was supported by the Genderlogues program of the India office of Friedrich-Ebert-Stiftung (FES). 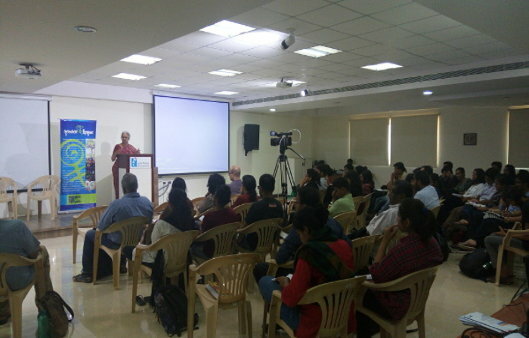 Through a series of panels, lectures and activity based discussions, the course introduced participants to feminist perspectives on emerging debates at the intersections of digital technologies and development. Read blog on panel discussion here.